When you dream of spring, what does it look like? Spring is finally here…sort of. 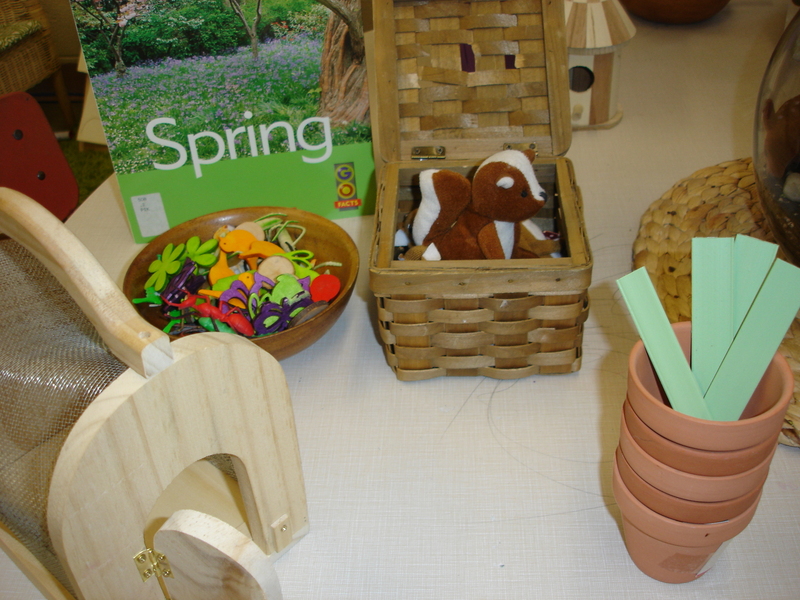 Despite the fact that it is still chilly outside, spring has sprung at the Curious Kindergarten! This year, the children were particularly excited about the arrival of spring – doing their own countdown in the days leading up to March 20th. When the first day of spring arrived, some children were naturally disappointed that when they woke up that morning there was still snow on the ground, a chill in the air, and a winter jacket to wear to school. 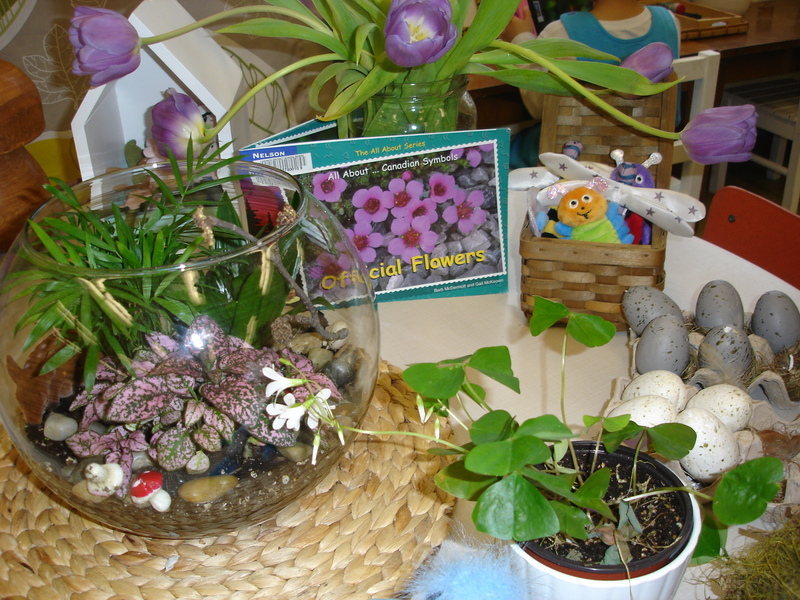 We wanted to latch on to the children’s natural excitement about the changes that were still ahead, so we created a “Spring Inspiration” table at our classroom science table. 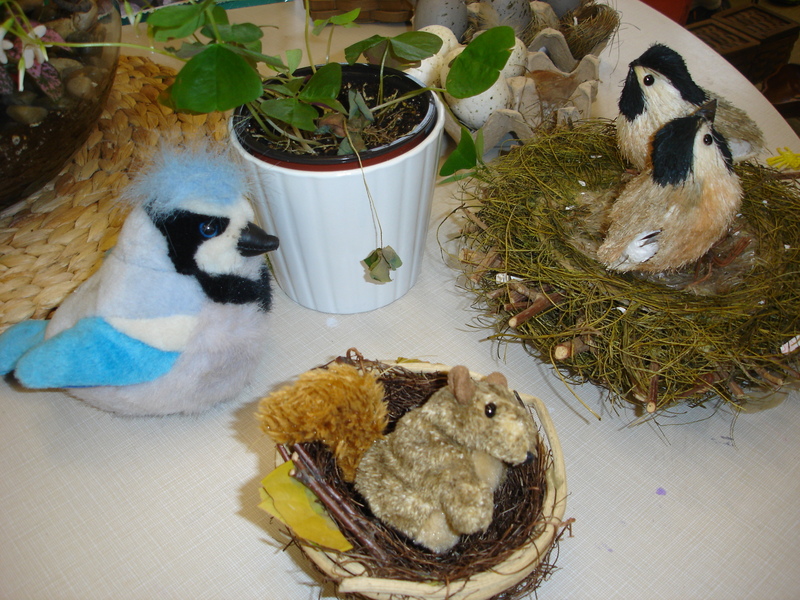 Above: Birds nests, birds, eggs, and early spring plants inspire the children’s thinking around the creatures we have already observed in our Outdoor Classroom. 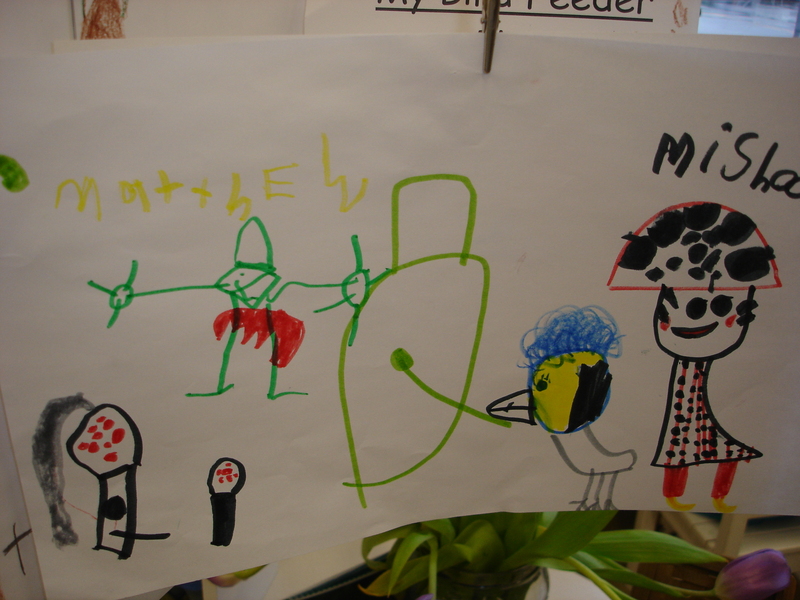 Above: Insects, a bug house, planting supplies, animals, and non-fiction books about spring changes help the children envision what they might begin to see and do outside now that the weather is changing. 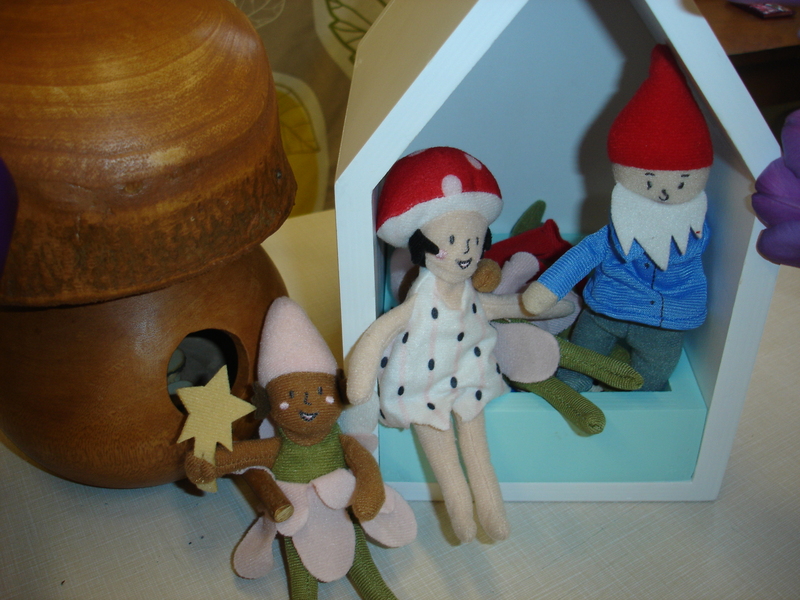 Above: These fairies and garden gnomes were a huge hit, providing ample opportunities for dramatic play, storytelling, and the development of ideas around how creatures respond to the changes outside. The question we have been asking leading up to spring (and after) is: “When you dream of spring, what does it look like?” In order to support the children’s thinking, we have been reading a lot of books (both fiction and non-fiction) about spring and engaging in visualization exercises. Many of our classroom activities have been designed to help the children communicate their thinking in a variety of ways. For example, at the playdough table we created a provocation with green dough and spring-themed loose parts (mushrooms, flowers, butterflies, stones, wood chips, etc.) 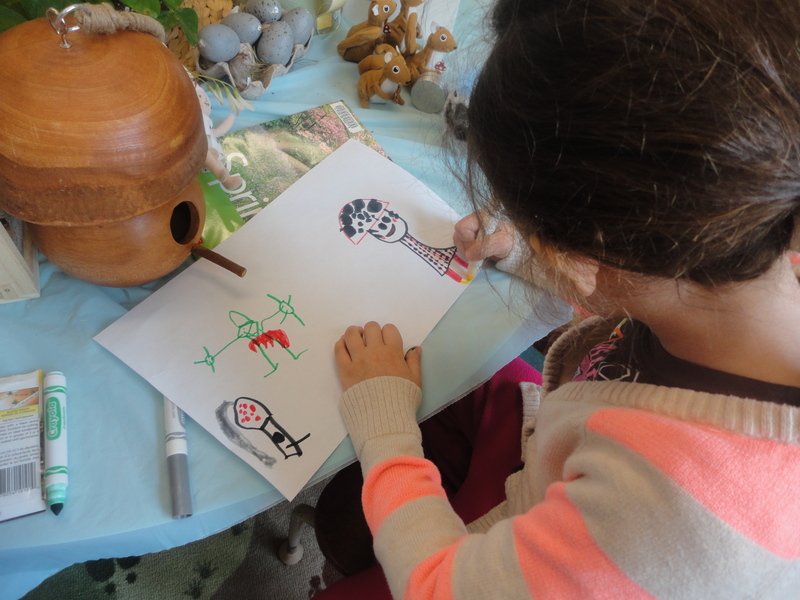 in which the children created their own “spring scenes.” At the writing table, children have been encouraged to write their own poems about spring, and at the art studio, children were given the opportunity to paint a still-life portrait of a tulip. M.F. and M.B. created a collaborative drawing that tells their story of spring creatures. 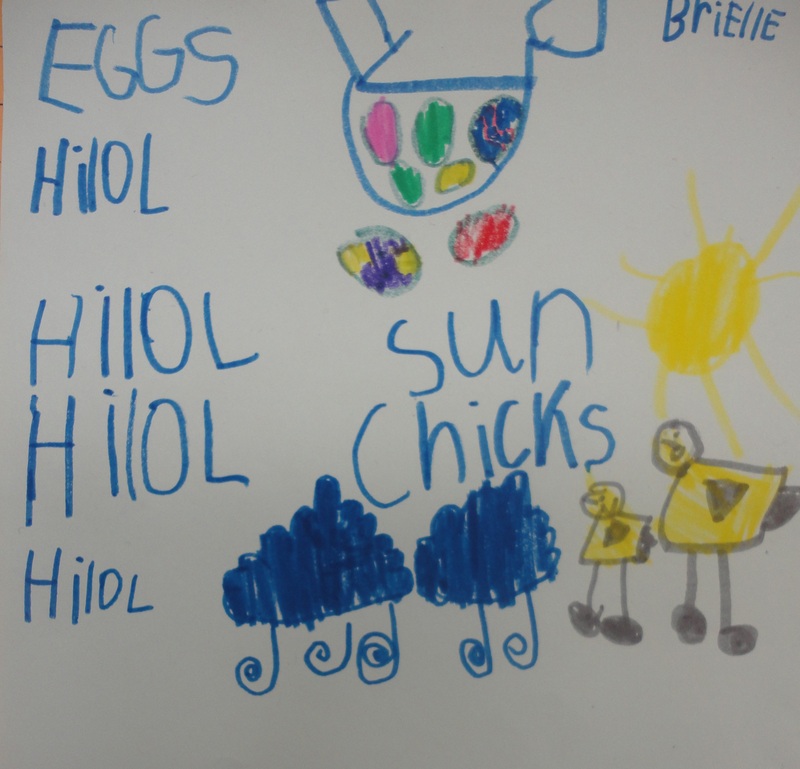 “Hello Spring” is a poem written by one of our JK students at the writing table. What an exciting time! It really does feel like there has been a “spring awakening” happening in our classroom. How have you marked the arrival of spring with your students? What kinds of inquiries and ideas are you talking about? This entry was posted in Outdoor Classroom, Provocations, Science and Technology, Writing in Kindergarten and tagged Reggio inspired kindergarten, science inquiry ideas, spring inquiry, Spring provocations, Writing in Kindergarten by msmcdonell. Bookmark the permalink.